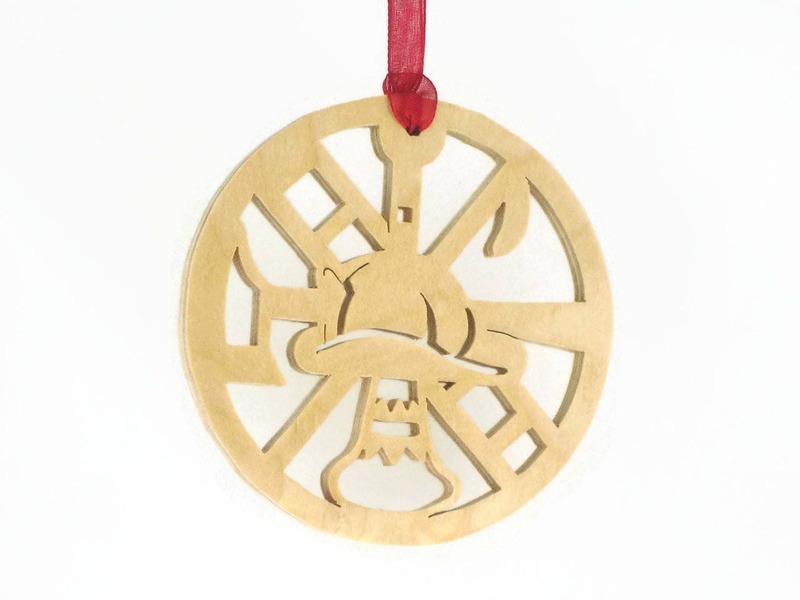 This handmade Fireman themed Christmas ornament is the perfect gift for that fireman that seems to have everything. 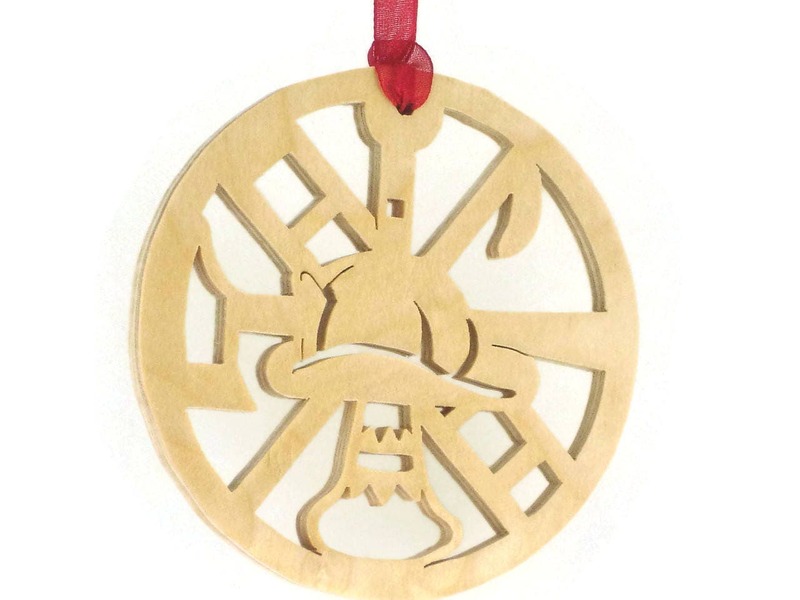 This fireman Christmas ornament features a fireman hat, ladder, and axe cut out of the 4" diameter circle. 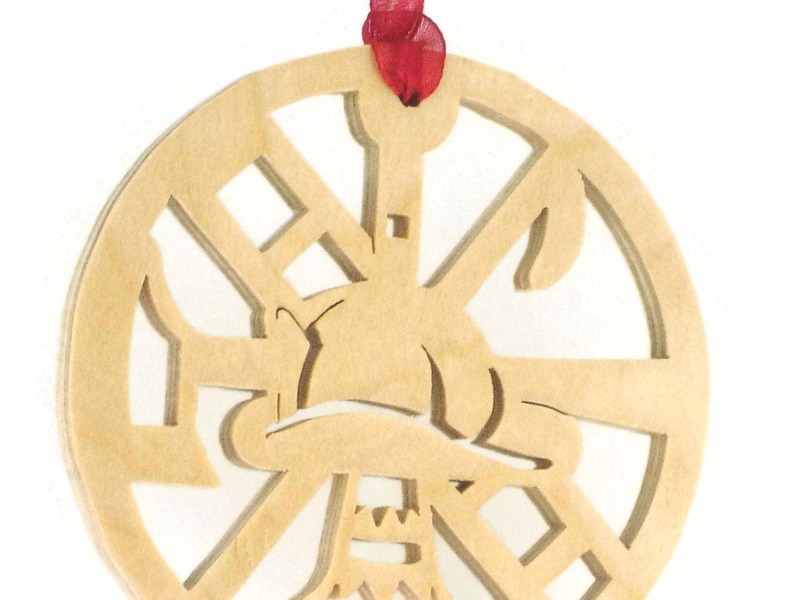 This was cut out by hand using a scroll saw from 1/4 inch Birch plywood. 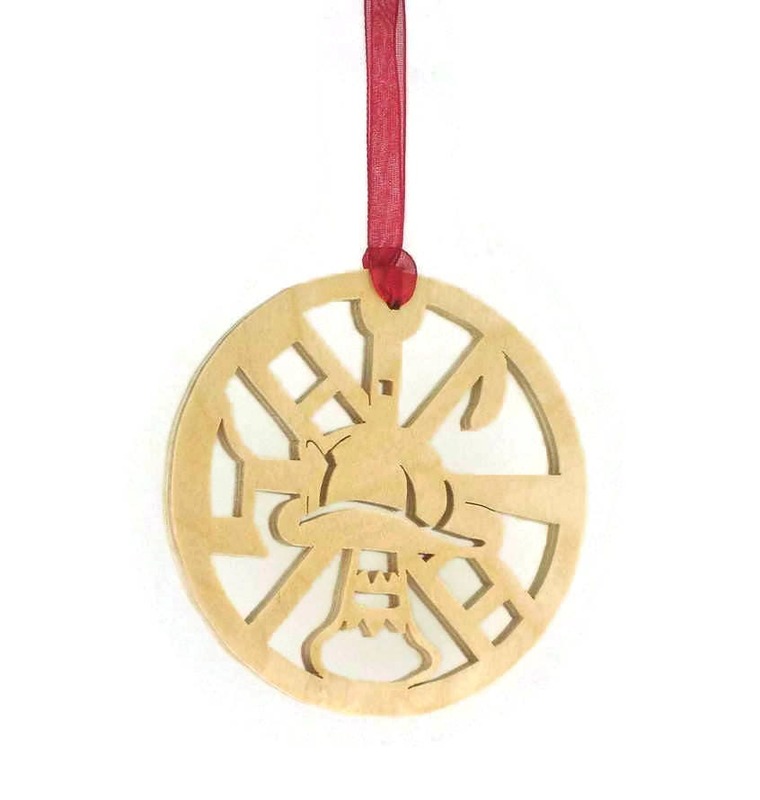 A red fabric ribbon is added for ease of hanging on your tree or somewhere in your home for decoration. A natural color Danish Oil finish was applied to this to bring out the natural beauty of the wood grain as well as to help protect its natural beauty for many years of enjoyment. 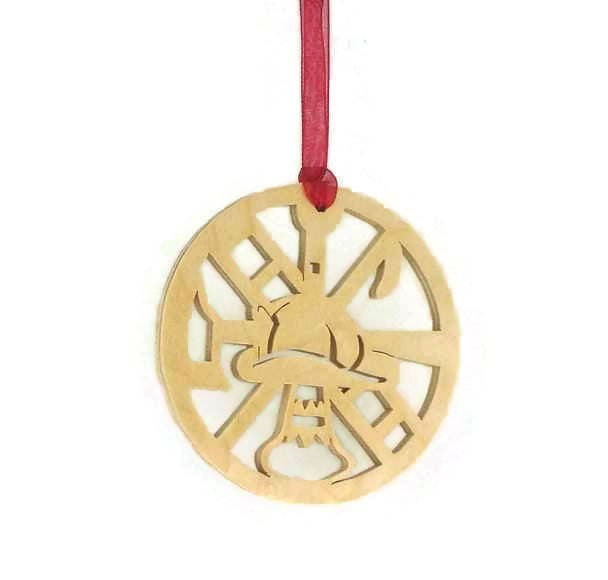 I have a total of 6 different styles of firefighter themed Christmas ornaments available and can group them together at a discount if you would like all six. Message me for details.